We have over 40 Million business records available online. 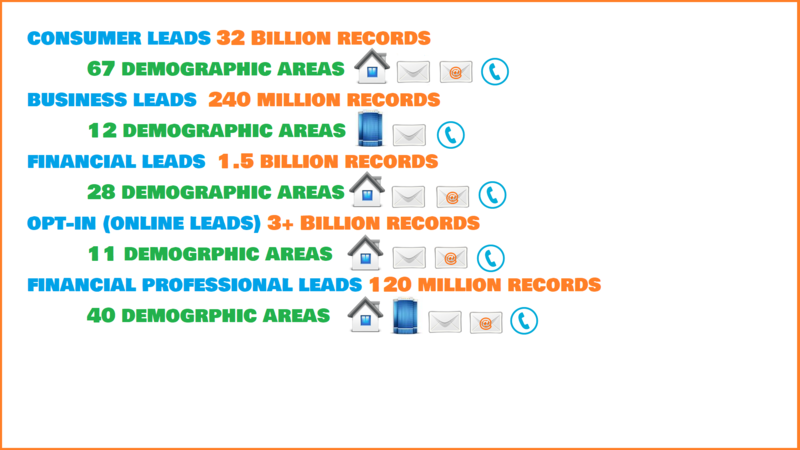 Nationwide has over 32 Billion records with over 67 demos & 700 selects available in our consumer database. Our email database is updated annually with over 1 Billion email addresses. Use our appending service to update your existing files and add more information to data you already have. Copyrights © 2019 Nationwide Marketing LLC. All rights reserved.